How do you pay for the products and services you use most in a day? Whether it's your phone bill, Netflix account, your local gym, or your Amazon Prime account, they all have one thing in common – you're subscribed to them! There's a shift happening in the way we purchase and interact with businesses – a shift away from the transactional, pay-per-product tradition towards something more human. In this new "subscription economy", relationships are key. Your transactions with parents and caregivers now don't stop at the cash register or when the class is over, they exist over the lifetime of your relationship with them. So how do you make customer-centric relationships a part of your children's activity business? Memberships! In its most basic form, a membership is any subscription-based product that a customer pays for on a monthly or annual basis in exchange for exclusive access to aspects of your business. A membership program, regardless of the industry, is meant to reward your most loyal customers with benefits and discounts. For children's activity providers, a membership program gives parents and caregivers a concrete way to continue their relationship with you. But what are the benefits for your business? What about memberships for children's activity businesses? For children's activity businesses, we suggest providing two main perks when it comes to creating memberships for their clients. You can offer a specified number of activity spots a month at a discounted price, or a universal discount for spots that members purchase. These types of membership perks mean that your customers will be more likely to continue to register for your activities over your competitors – while they pay less than your normal one-off customers, their lifetime value is much larger! So, how do you price a membership program? When creating a membership program for your children's activity business, it's important to have a clear goal in mind. This goal will decide the perks you include, what packages you offer, and how much you charge! There's no magical price for any provider of children's activities – it will take some experimentation to figure out what works best for you and your business. If you're unsure, start at the lower end of the pricing spectrum as it's much easier to raise your prices later than to have set it too high initially – and as a bonus, your early members will thank you for it! One goal for a membership program is to build the largest membership base possible, regardless of the revenue generated from the program. This is a great strategy for businesses who want to acquire new customers, have opened new locations, or want to offer up-sells to more revenue-driving membership options in the future. Give a heavy discount to your parents by giving a large percentage off for members or by giving them spots at an equivalent rate. For providers who want memberships to serve as one of the primary profit-generating pillars of their business, the goal here is to find a balance between enticing parents to sign up while still maintaining a healthy profit margin. If this is your goal, price your membership high enough where your parents will take it seriously, but low enough that it won't lead to churn (we'll explain what churn is later). A good way to figure this out is to look at what your typical customer spends on a monthly basis, then price it at a small discount to drive your best customers toward a membership. What are the numbers I should pay attention to? Churn is the rate at which you lose membership customers over a given period of time, usually a month. If you have 10 membership customers and lose 1 in a month, your churn is 10%. In order to have a healthy membership program, your churn should be less than your growth. So in the case above, you should work to add at least 2 new members for every one you lose. Your ARPU is the average amount of revenue a member brings in per month across all your membership options. To calculate it, take your total revenue for a month and divide it by your total number of active members. So if you bring in $2,000 a month in revenue and have 100 members, your ARPU is $20. Your customer's LTV is the total value attributed to your average member throughout the lifespan of an average member, which includes the average amount of months someone remains a member. So if on average, your members stay with the program for 5 months at $20 per month, your Lifetime Value is roughly $100. While your transactions no longer end when the customer pays, that process of paying, managing, and using their membership is incredibly important. However, there's no one-size-fits-all membership software that works for every industry, because every industry has its own unique needs when it comes to managing a relationship with a membership customer. That's why we built a membership program specifically for children's activities – because bad software should never be a barrier between you and building your relationships with your customers. 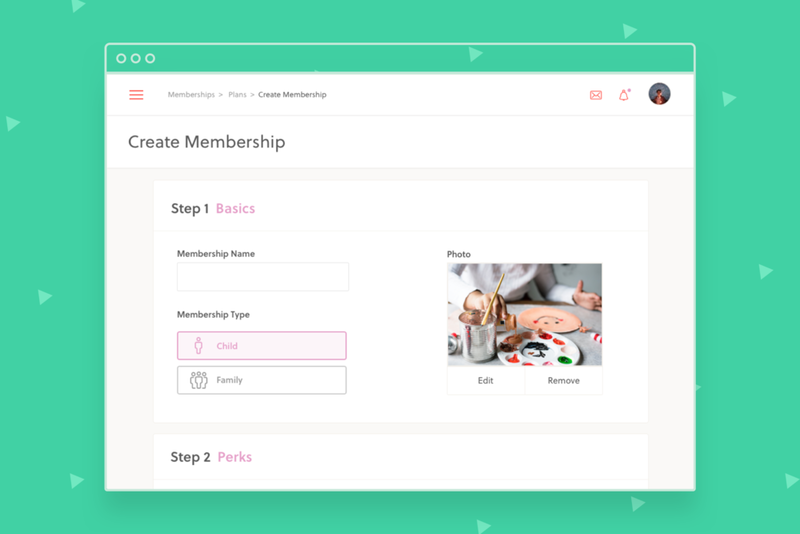 We’ve included a completely customizable membership builder, with options like membership plans based on families, individual children or adults, custom locations, activity spot perks, discount perks, flexible pricing, custom descriptions and cancellations and refund policies, we’ve got you covered. Managing members is a breeze with Sawyer Tools. Now you can see all your members with the essential information and filters, with the ability to manually add members as well as see upcoming renewal dates and statuses. With the launch of Memberships, all Sawyer Tools users will now have a “Memberships” tab option on their widget – which showcases all available membership plans, descriptions, and an automatically generated list of perks and terms based on how the membership plan was created. If you're already a Sawyer Tools user, you can start creating memberships today! If you don't use Sawyer yet and would like to learn more about a partnership, you can talk with a team member today by emailing partners@sawyertools.com or request a demo here.